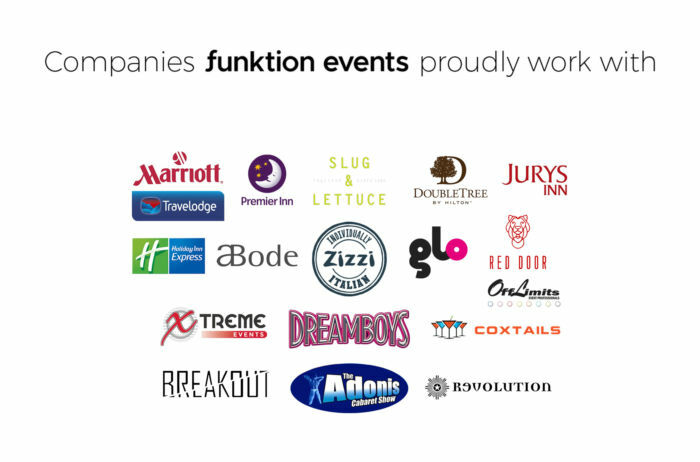 We’re Funktion Events – the flagship brand of Funktion Leisure Ltd and dedicated event organisers of hen parties, stag do weekends, group breaks, team building experiences and corporate events. Established back in 2007, we pride ourselves on organising high quality and innovative activities, bundles and packages for every customer we encounter. Having sown our roots in Accrington and Burnley, we decided it was about time to expand out and took up shop in the quaint city of Chester in 2014. From there, the only way has been up! We’ve seen the Funktion team grow bigger, a move to a bigger office, and expansions in the corporate events area and all the way into Europe. From our very first booking, we’ve made it our mission to cater to each and every person planning a special occasion. Whether you’re looking for a hen do, a family break, a team ice breaker or a Christmas party, our events managers will be there to hold your hand throughout the planning process, and provide expert knowledge to help you with the big decisions. We’re also proud to offer experiences to cater for every kind of person, whether you’re a member of the LGBT community or you’re in charge of a kids party and every in between. Over the years, we’ve built up unbreakable commercial relationships with an array of suppliers to give you the best activities, experiences and accommodation possible. 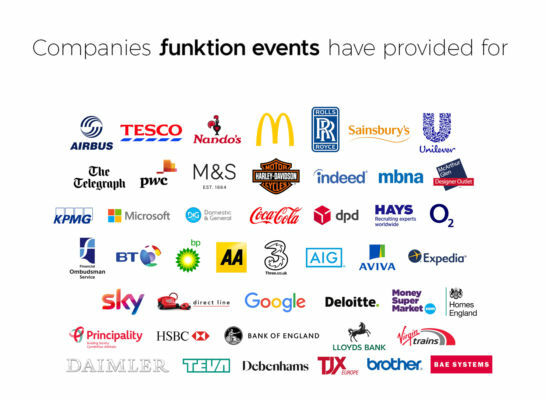 All over the UK and right into Europe, we work with only the best companies to ensure a smooth planning process and competitive prices to become of the best event management companies. We believe in providing the best quality resources to our customers, and this means working in partnership with top companies to make life a little easier and more stress-free for you. With this in mind, we’ve partnered with companies like ABTA, the largest UK travel association that represents travel agents and tour operators when selling holidays, and offers advice to the travelling public. Skyscanner is another trusted company we've partnered with in order to give you peace of mind when booking overseas packages with Funktion Events. View a variety of flights to your chosen destination in just a few clicks, all on our website.